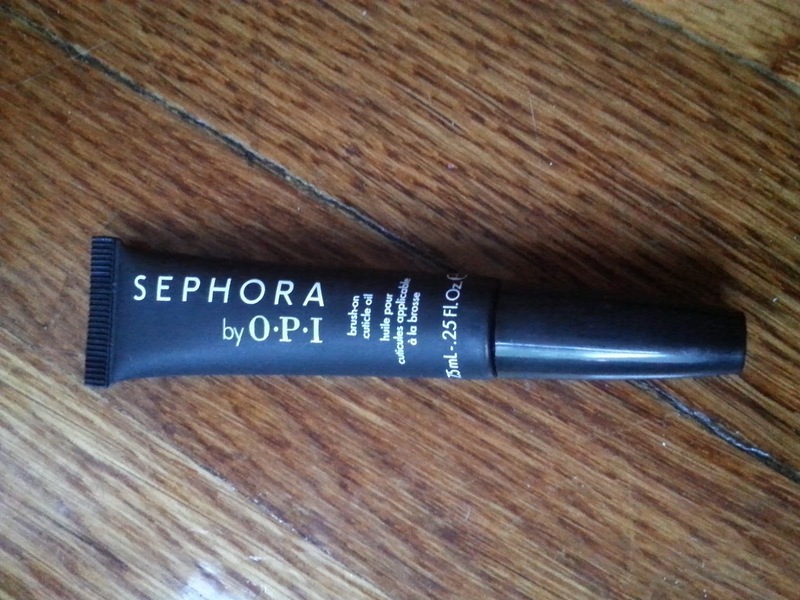 My addiction for Sephora is growing. With so many different brands and products to try, there's always something on my wish list. Not only did I find some really nice stuff, but everything I purchased was on sale! 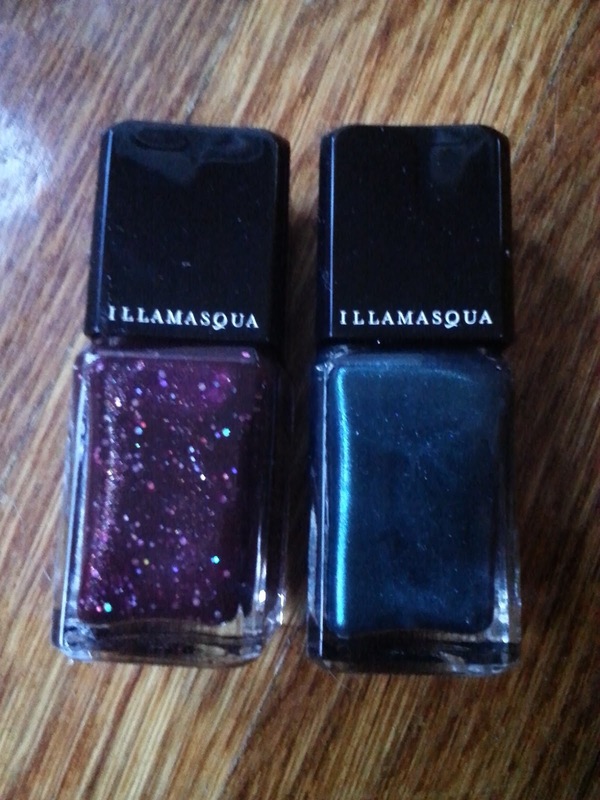 Illamasqua Nail Varnish Duo (Viridian/ Glitterati): Retail $25.00 on sale for $19.00! I splurged on this gorgeous limited edition lacquer set. 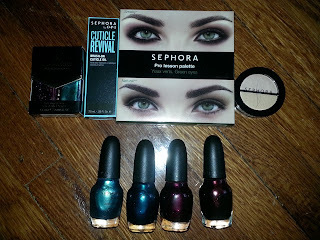 This is a new brand for me- I can't wait to try these rich colors! 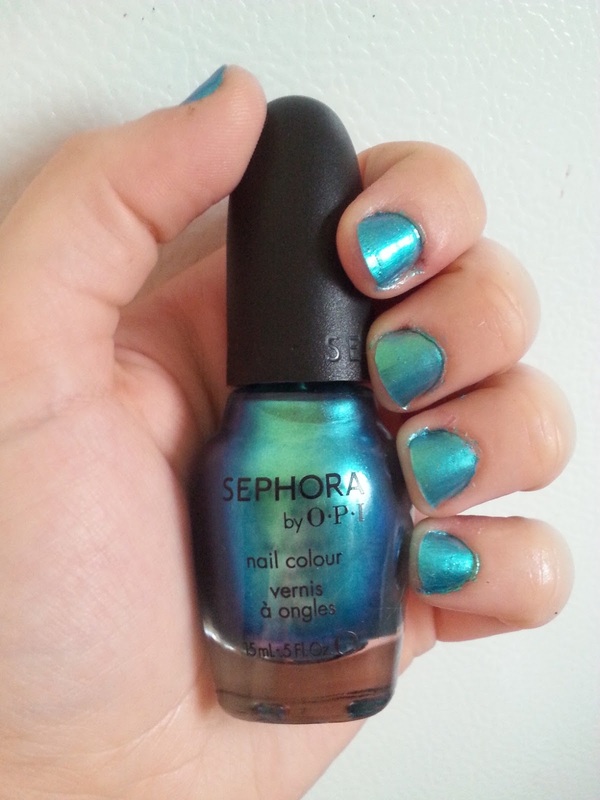 SEPHORA by OPI Brush-On Cuticle Oil: Retail $9.00 on sale for $4.50! I was in need of some cuticle oil, and thought the tube would make it easy to use!! SEPHORA COLLECTION Pro Lesson Palette: Green Eyes: Retail $20.00 on sale for $9.00! 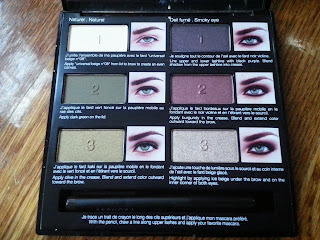 I'm a big fan of color by number cosmetics. It's great for those who are inexperienced in makeup application or those who don't have a lot of time to get ready. I know my way around a makeup palette, but sometimes it's nice having a predetermined makeup look picked out for you. I love that this palette comes with two looks (Smoky and Natural) to enhance my best asset! SEPHORA COLLECTION Colorful Duo Eyeshadow (Color 10 Golden Pink): Retail $16.00 on sale for $5.00!! 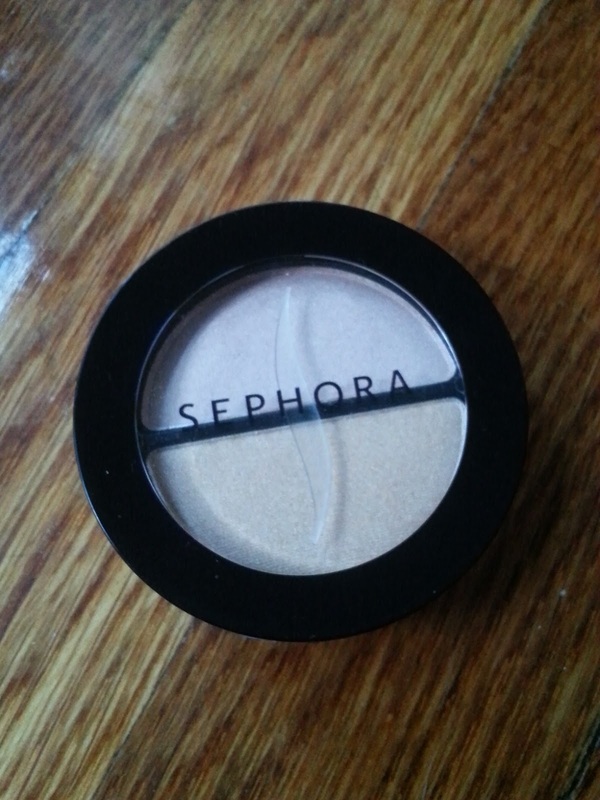 I'm new to trying Sephora eyeshadow and thought this was a steal to try out. This duo was available in three other combos, but I selected this one because I thought it was the most wearable. Retail $9.00 on sale for $4.50 each! 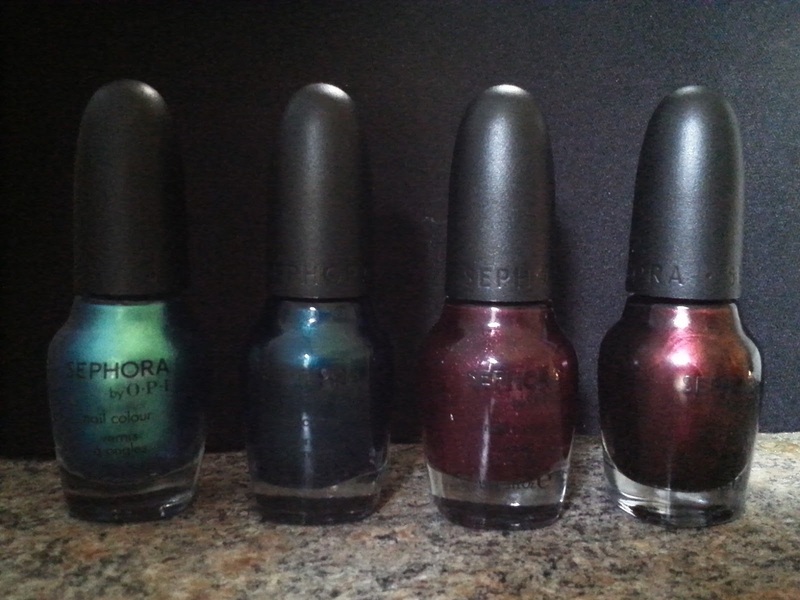 Sephora was having a huge sale on all SEPHORA by OPI products since they are replacing the collection with their new SEPHORA X line. There were so many polishes to choose from, but I narrowed it down to the top four colors I most wanted to try. 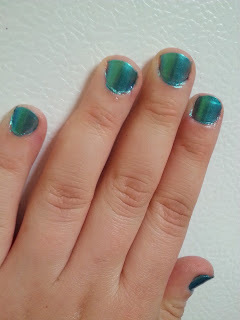 I just love this color-it definitely reminds me of mermaids!! I wish I tried this collection sooner before finding out it was being discontinued. I know I'm probably missing out on some great colors!! 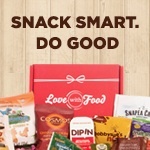 As always, you get 3 free samples with every order, plus I had a promo code for the deluxe sample! Somehow they also threw in the Men's Fragrance sample which I'll give away since I can't use it. Spent: $55.50 plus sales tax. Total Savings: $50.50!! Not bad-almost half off!! 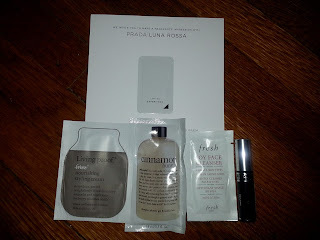 What did you think of my latest Sephora purchase? What's on your wish list?